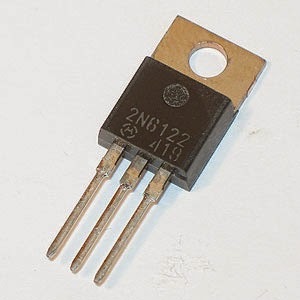 Transistor failure can occur due to a variety of reason. The following are some of them. Aging of transistor due to temperature variations inside the components due to carrying current can cause failure. The electrical properties of the materials inside can drift due to age. External causes such as spikes in the power supply, heat, mechanical damage can also result in transistor failures. Hence, all transistors should be adequately protected against overvoltage. Improperly chosen components and wrong circuit design can also result in transistor failure. Hence, all components in the circuit should be properly rated with sufficient allowance for overloading and temperature rise. The failure of one component can lead to cascade failures of other components. Overheating is the most common cause of transistor failure. Hence, it is important that transistors be provided with cooling mechanism. Devices which contain temperature-sensitive electronic components should be kept in air conditioned environments. Electrostatic discharge can also damage transistors. Hence proper precautions against Electrostatic Discharge Should be taken.